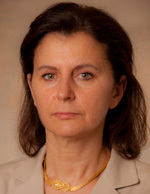 Dr. Retsina founded American Process in 1995 and has led the company’s growth and diversification efforts. Dr. Retsina has more than twenty years of experience in executive management, engineering, process development and operations. Prior to founding American Process, she was the International Project Manager for Parsons and Whittemore Inc., a global design-build-operator of pulp and paper mills, where she was responsible for project construction and process development and optimization. Dr Retsina is a licensed Professional Engineer (PE) and the author of over 30 scientific publications, patents, and patents pending. She received a PhD in Chemical Engineering from Imperial College, University of London. Steve Rutherford has more than 25 years of executive management experience in engineering, product development, project execution, construction and operations. Prior to joining American Process, Mr. Rutherford served as Engineering Vice President of Parsons & Whittemore Inc. where he was responsible for implementation of projects totaling over $50 million per year for company owned pulp and paper mills in the USA, Canada, and Spain. He received a Masters of Business Administration from the University of Alabama and a Bachelor of Science in Electrical Engineering from the City University, London, England. He is a licensed Professional Engineer (PE). Mr. Pylkkanen has over twenty years experience in process and project engineering and energy integration consulting. Prior to joining American Process, Mr. Pylkkanen served as President of Omni Weight Control, a start-up company for industrial and commercial weighing applications. Mr. Pylkannen previously held engineering positions at Aquatech International, an industrial water treatment supplier and (Smurfit) Stone Container, a pulp and paper manufacturer. He received a Masters of Business Administration from Carnegie Mellon Graduate School of Industrial Administration and a Master of Chemical Engineering from Michigan Technological University. Ryan O’Connor has over 20 years experience in chemical engineering for biorefineries, strategic research and development, and intellectual property including patent drafting and prosecution. 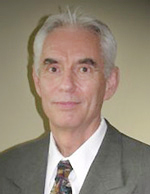 Previously he served as Principal Engineer for NatureWorks LLC (joint venture of Cargill, Inc. and Dow Chemical Company) and then as Director of Intellectual Property for Range Fuels, Inc. He received a B.S. in Chemical Engineering from University of Notre Dame and a Ph.D. in Chemical Engineering from University of Minnesota, and is admitted to the U.S. Patent Bar (Reg. No. 56693). 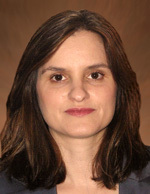 Ms. Rouzinou has expertise in process design, modeling, and optimization. She is also an expert in using Pinch Analysis for energy integration. Ms. Rouzinou received a MS in Process Integration from the University of Manchester Institute of Science and Technology in the United Kingdom and a degree in Chemical Engineering from the University of Patra in Greece.